Amanda initially commenced pre-registration nurse training with Barking Havering and Brentwood Health Authority in 1985 and completed her final year after transferring back to Plymouth school of nursing in 1989. During the course of Amanda’s career she has successfully gained a wealth of knowledge, skills and experience in the following areas: general operating theatres; acute chest medicine; sub regional burns and plastic surgery specialist nursing; wound management outpatients clinic for plastic surgery patients; pre -operative assessment. Amanda worked as a research nurse in Rheumatology/Dermatology/MS services and also for the University of Plymouth and St Mark and St John for 14 years, as a part time lecturer and clinical skills demonstrator and clinical educator. Amanda is currently working as a band 7 specialist research nurse for Hepatology, co-ordinating National and International Hepatology research studies within the trust, working closely with the wider Hepatology / South West Liver Unit team. Qualifications: Registered General Nurse (NMC Part 1), Lecturer Practitioner Educator, PGCE, BSc (Hons), Fellow of the Higher Education Academy, SEDA Accredited Teacher in Higher Education. Sue qualified as a RN from Poole General Hospitals NHS Trust, school of nursing, in 1979. She gained a wealth of experience in both medical and surgical nursing in various locations throughout the UK. 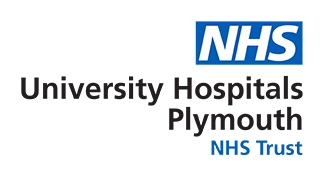 She started working in Plymouth Hospitals NHS Trust in 2002 and joined the acute hepatology ward team in late 2002. She has worked in research since 2012 and in 2017 became the senior Hepatology research nurse. Sue co-ordinates hepatology research within the trust. She identifies and screens patients for trials and is able to support the patients through the trial pathway. Some patients are with Sue for years and she provides her patients with support and acts as their point of contact. The team is involved in clinical trials which are run Nationally and Internationally. The Hepatology research team have worked on clinical trials for the new treatments for hepatitis C virus. This research has dramatically changed the treatments and outcomes for this group of patients and is now the standard of care. The hepatology research team are currently working on trials which include finding a treatment for fatty liver disease, new treatments for PBC, and alcoholic hepatitis among other conditions. Qualifications: BA Hons, RN, ICH GCP.